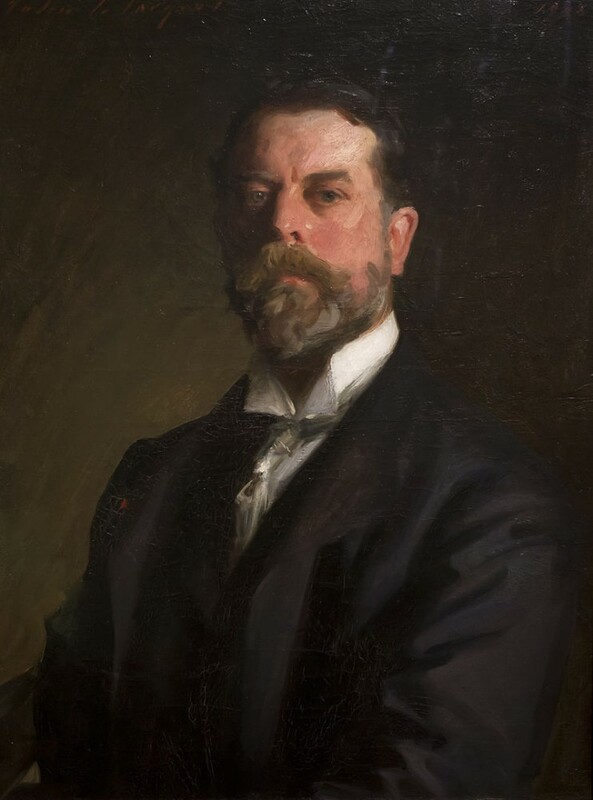 John Singer Sargent was born in Florence, Italy, to having American expatriate parents. He was trained in Florence and Paris, and then settled down in London in 1884/1885. He visited the U.S numerous times and painted some large-scale decorations in Boston Public Library, The Museum of Fine Arts and Harvard University. However, he is best known for his portraits and brilliant watercolours. Sargent's technical skill and simple colour schemes refleted that of Velazquez, who he greatly admired and was inspired by. His most famous paintings include The Daughters of Edward Darley Boit (1882) and Portrait of Madame X (1884). Sargent's large output has meant that his portraits are spread almost everywhere in Britain and America.